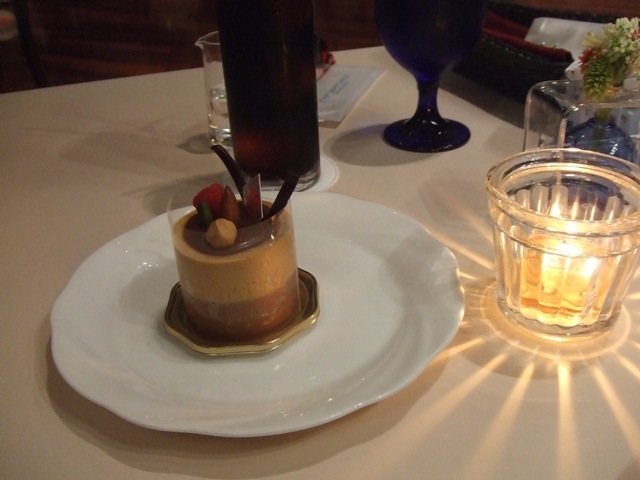 I introduced Karahori before. 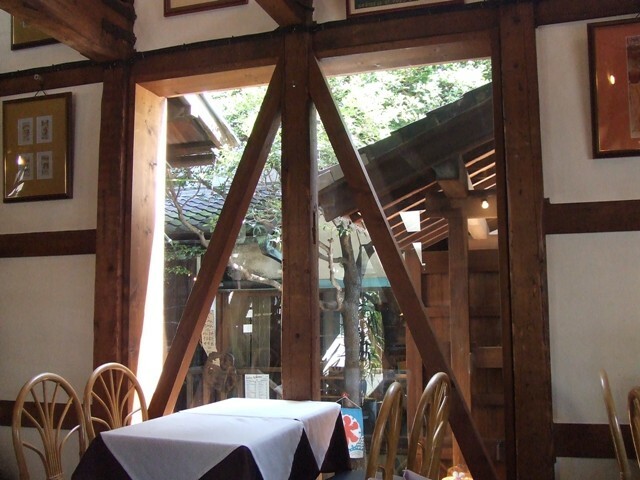 It’s in the center of the city near Osaka Castle, but it’s the place which still keeps the old atmosphere. 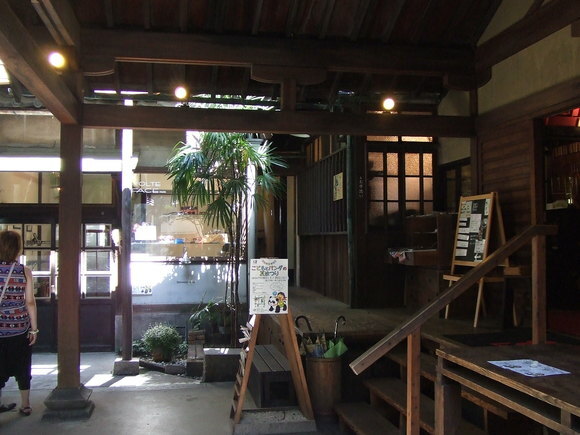 In Karahori, there are some of the old Japanese style buildings which are now shopping complex. 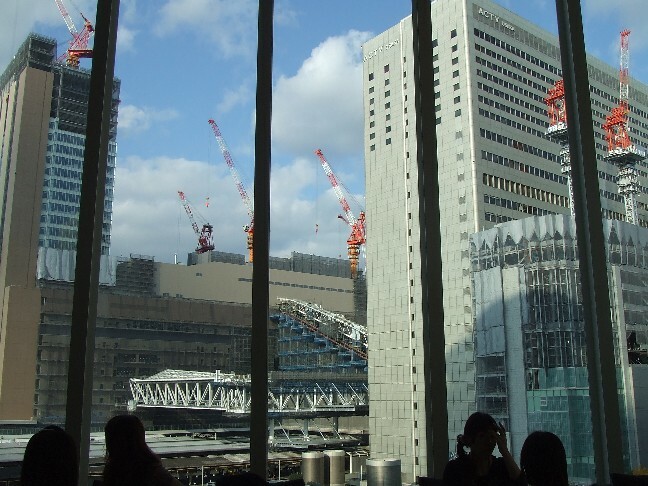 One of the buildings is “Ren”. 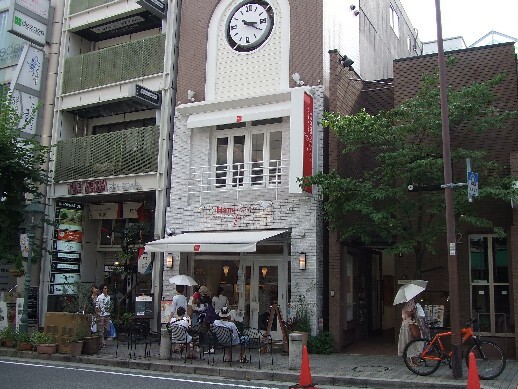 In there, there is my favorite chocolate store, in French, it may be chocolatier, "Ek Chuah". 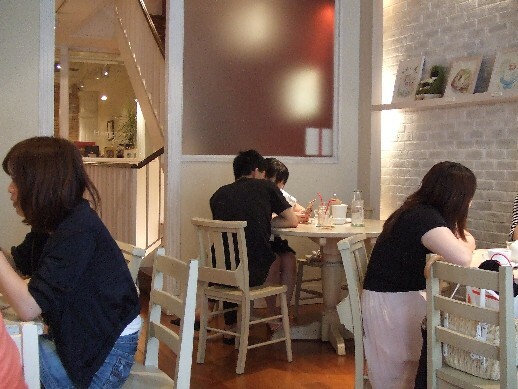 There is a cafe inside, too. 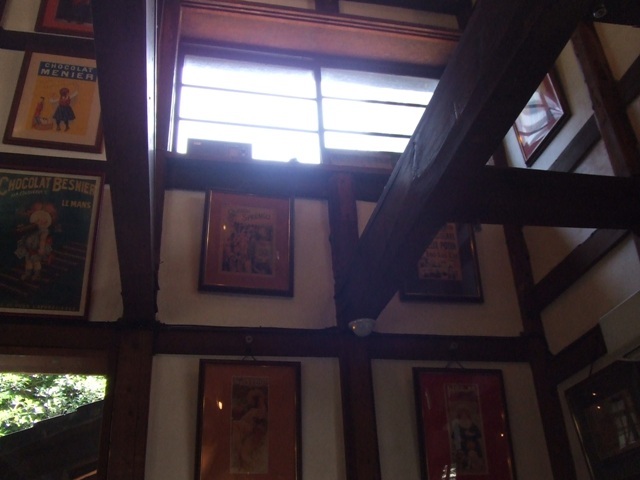 The building is Japanese style, but inside, there are many Western style pictures, and they match to this place pretty well. 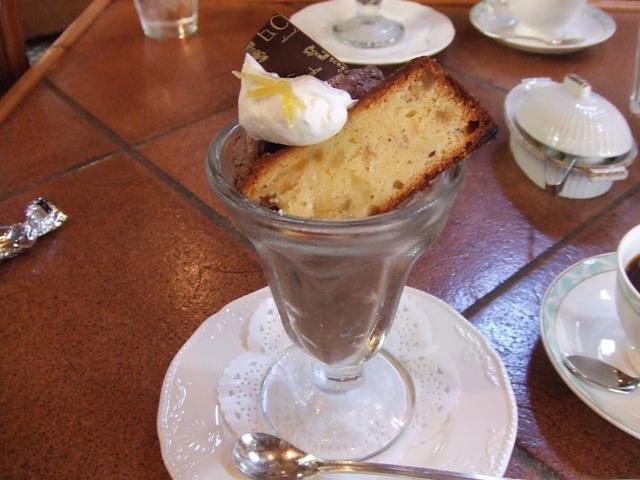 In a hot day, it is very nice to have their chocolate parfait with icecream in it. 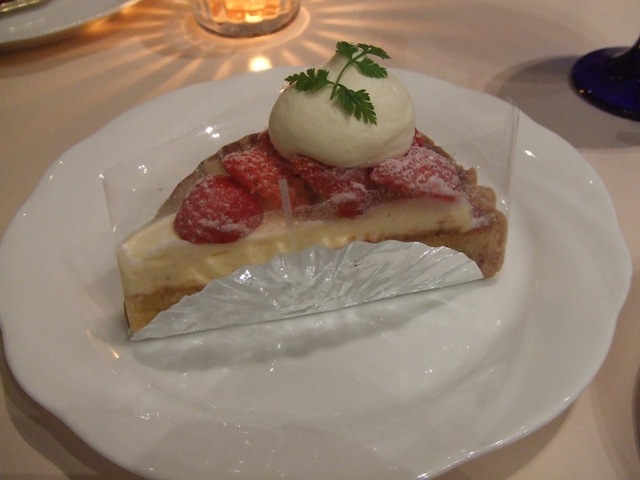 Yeah, after the rainy season is over, it’s been extremely hot ! 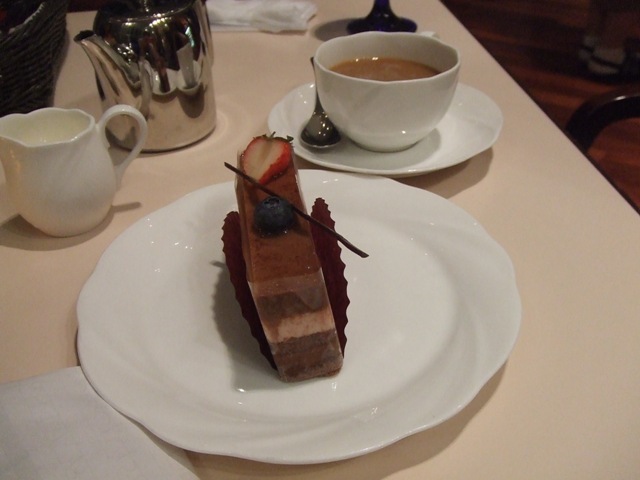 After enjoying Peruvian Restaurant, we went to The Grand Cafe on the 6th floor of Hilton Plaza West located near JR Osaka Station and Nishi Umeda Station of Subway Yotsubashi Line. Last time, I came here in the daytime last time . I like it whether it is in the daytime or at night. 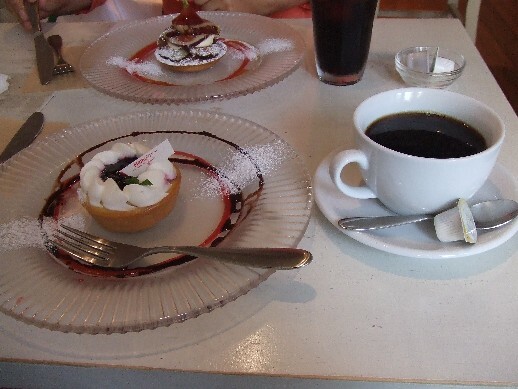 Prices are little bit expensive, but they have good stuff, especially dessert! 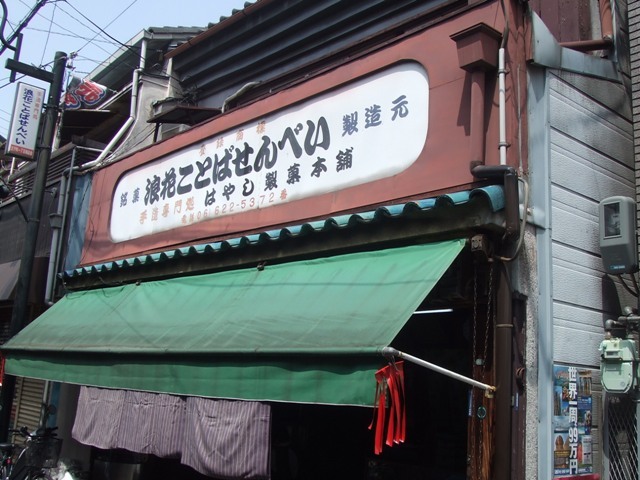 I had been looking for a good souvenir of Osaka, and I got an information of a handmade “Sembei” shop near Matsumushi Station of Hankai Uemachi Line. 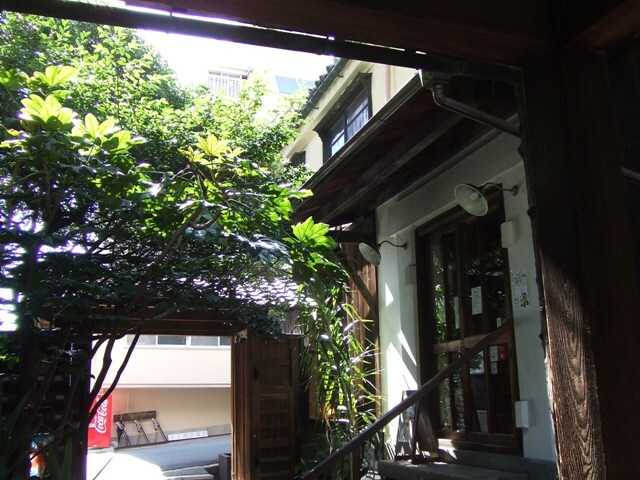 A few minutes from Matsumushi Station, and maybe about 20 minute walk from Tennoji Station. Sembei, in Osaka, is a round-shaped crunchy cracker type of snack. Many times, it is a cracker coated with soy sauce. In Osaka, I don’t know about other regions of Japan, sembei is not only round-shaped crunchy soy sauce rice cracker, but it can be round-shape, thin, sweet cracker made from eggs and flour. 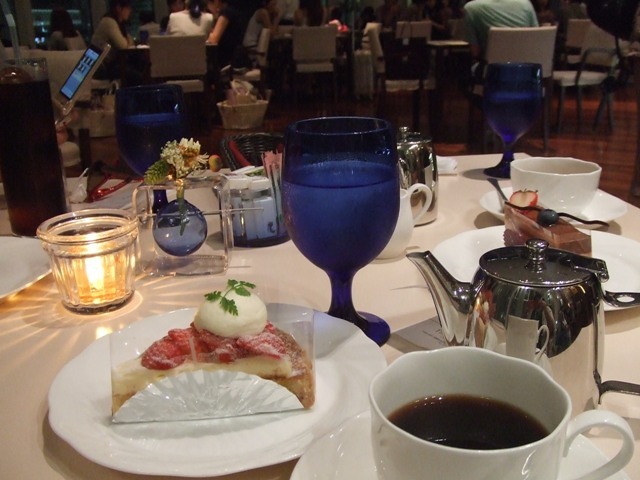 I am telling this because it seems the standard of Osaka is quite different from the one of other areas of Japan. Anyway, here at Hayashi Seika Hondo, all sembeis are handmade. They are made of eggs, flour, honey, and baking soda. 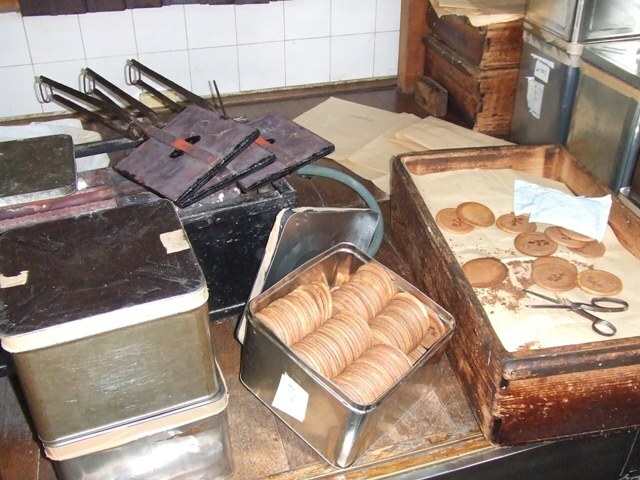 This factory and store has been existing there for about 70 years. 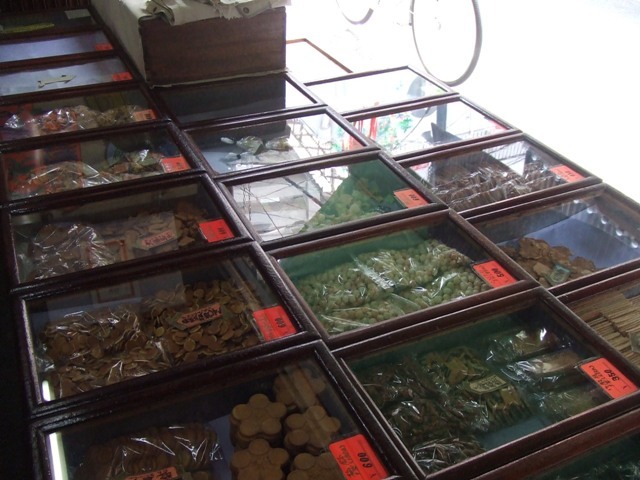 They have variety of sembei, and okaki. 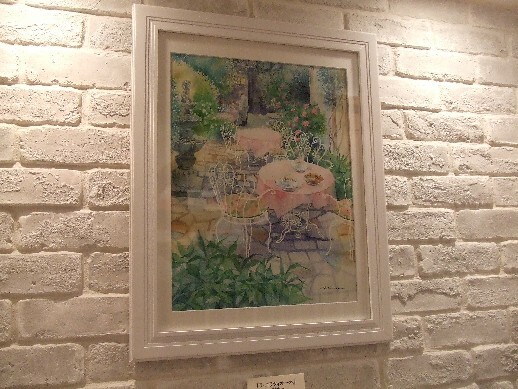 This is a small working section inside the store. 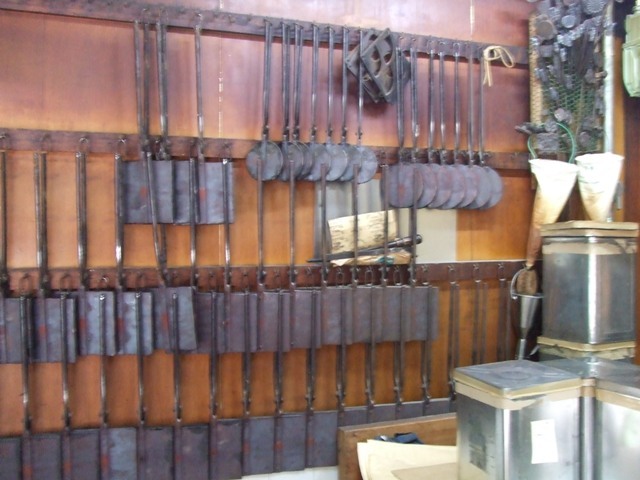 There are tools hanging on the wall. 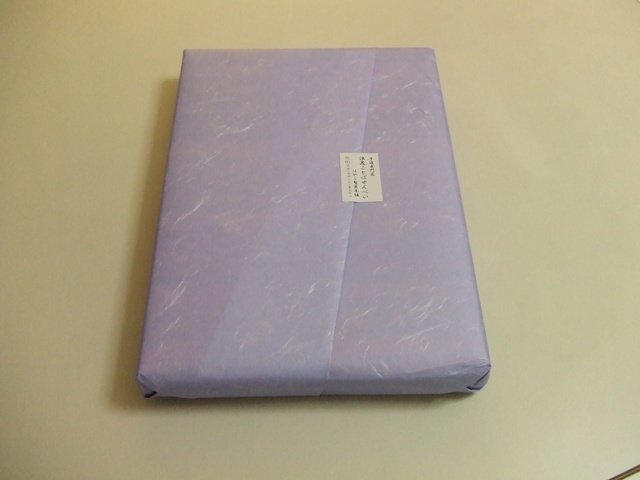 I got a smallest box of sembei for 1,050 yen. “Osaka-ben”, or Osaka Dialect is written on each sembei. It contains 24 pieces. Nicely wrapped. Are you interested in the inside? 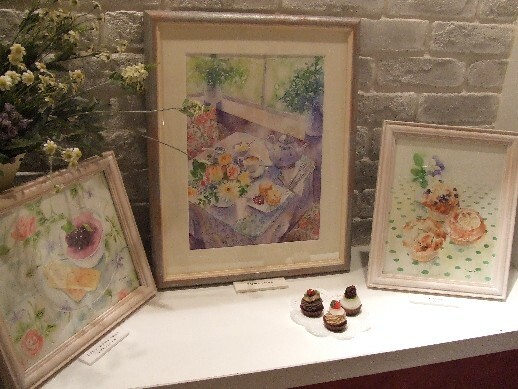 There was my favorite artist's watercolor exhibition at a cafe in Kobe. 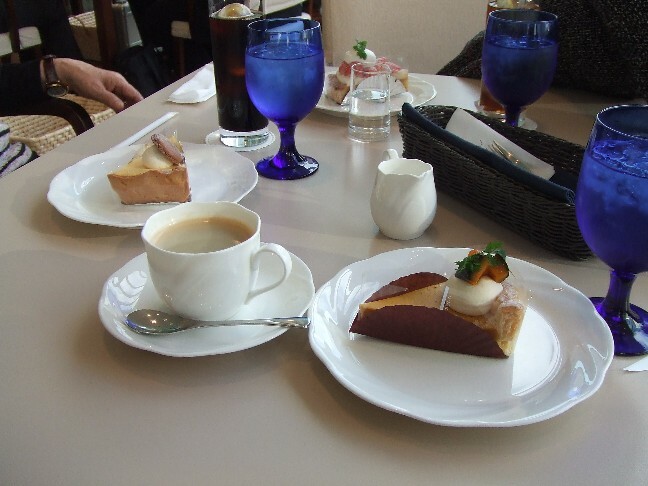 Of course, I enjoyed cake and coffee after seeing beautiful paintings!